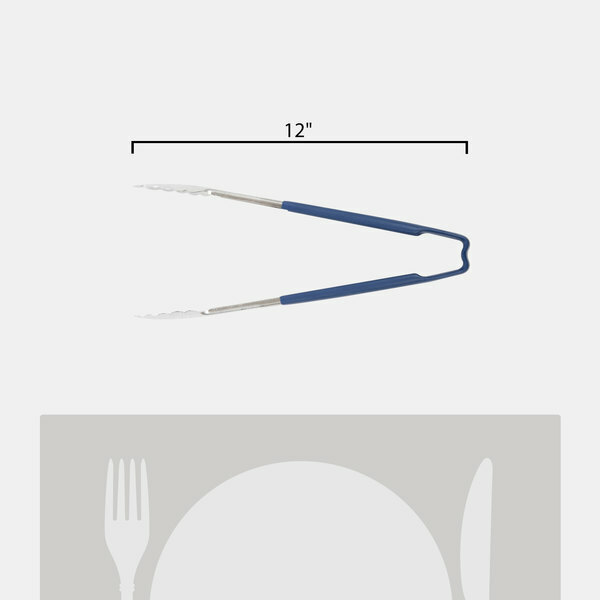 The Vollrath Jacob's Pride 4781230 12" long blue coated handle tong is easy-to-clean thanks to its one-piece construction. It's constructed from durable 20-gauge stainless steel, with plastic coated handles that are heat-resistant up to 225 degrees Fahrenheit. The stainless steel end of the tong is heat-resistant up to 350 degrees Fahrenheit. 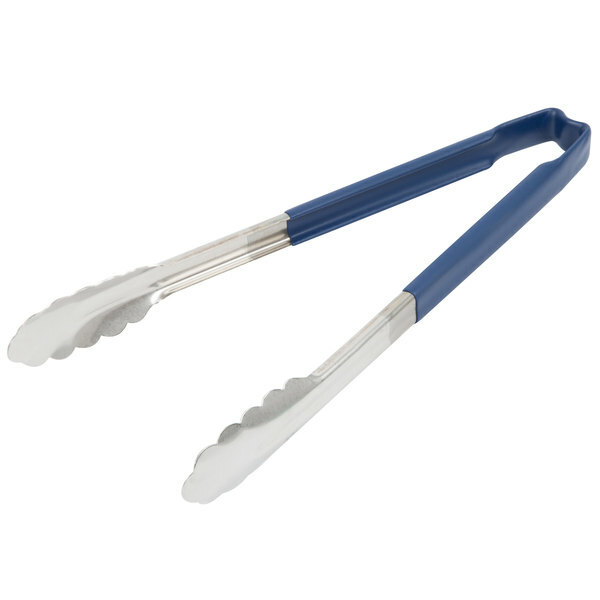 The bold, blue plastic coating also designates this tong should be used with fish to reduce the risk of cross-contamination during the cooking process. Assigning particular colors for a specific application will help implement an HACCP system in your kitchen to prevent foodborne illnesses by creating a safe and organized work environment. 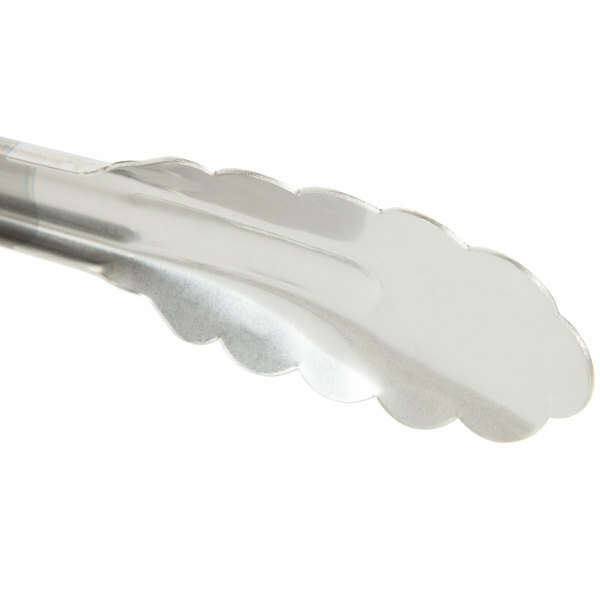 Plus, Agion antimicrobial technology is built into the handles to reduce microbial growth. 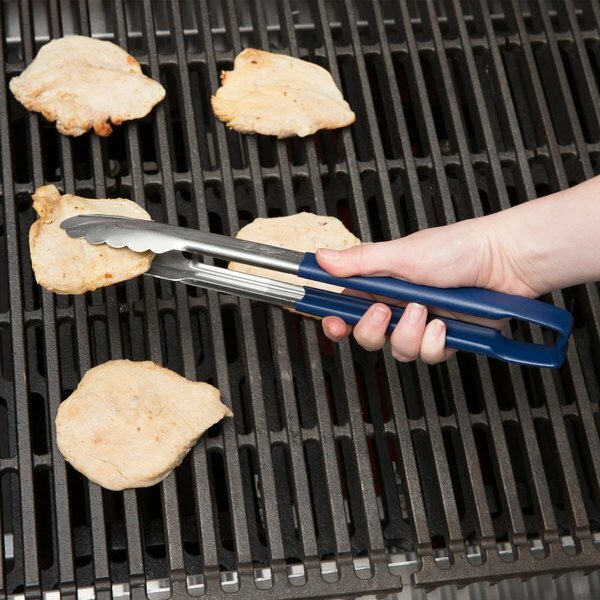 The concave "Utility" grip ends and gently scalloped teeth are ideal for a variety of kitchen tasks so you can work quickly and efficiently!Because these tongs are superior to most, Vollrath stands behind the entire one-piece Kool-Touch® handled line with the Jacob's Pride lifetime warranty! Great product that I will be purchasing more of again soon. They hold up to the daily beatings and even when fishing stuff out of the fryer they stay cool to the touch unlike some of the all stainless ones. 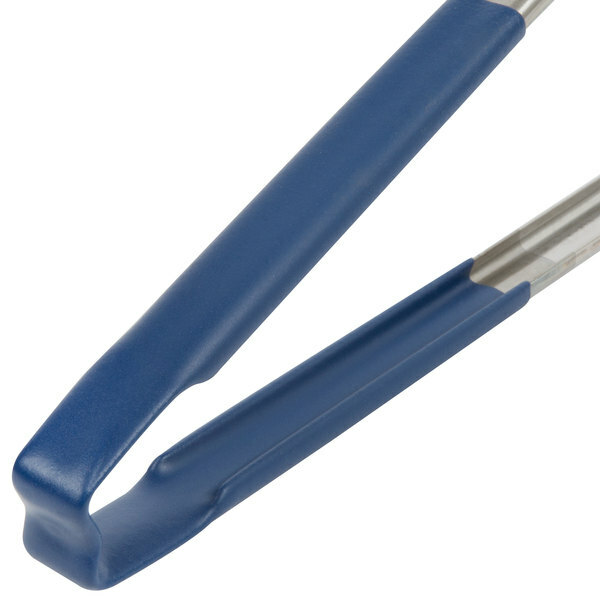 The Vollrath Jacob's Pride 12" Stainless Steel Scalloped Tong with Blue Coated Kool-Touch Handle is a long handled tong that is sturdy. The coating on the handle will not allow you to burn your hands. It is versatile and dishwasher safe. 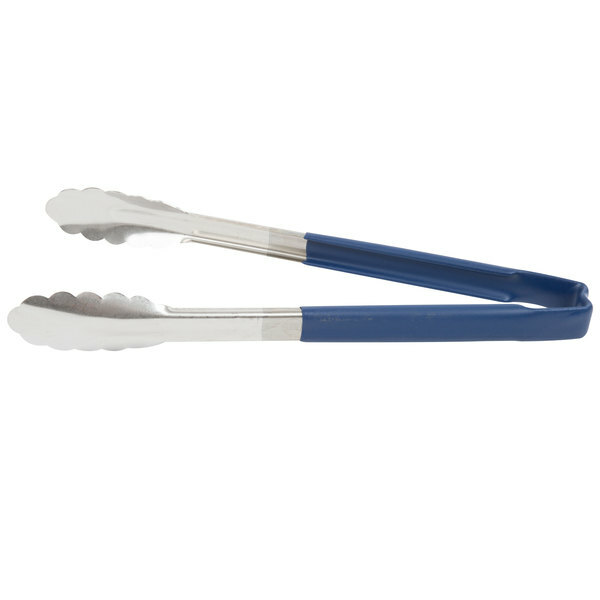 A really nice set of tongs. Great color blue. very strong. Perfect for the grill or fryer. Vollrath has the best stuff, everything i have is Vollrath. love these tongs been using them for years. no spring to wear out. I have had a pair I used everyday for four years and it is just now showing wear.